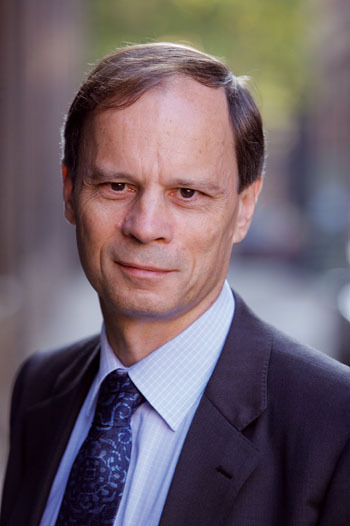 Tirole's work has splashed into many areas, including game theory, finance and behavioral economics, but most of his contributions have been in industrial organization, which is a branch of economics dealing with how firms, industries and markets work and interact. He has changed the way experts think about regulating large businesses. He papers show over and over again that different industries need to be regulated in very different ways, but there are a few themes that run through his work. For one, he saw a large principal-agent problem with regulators. That is to say, The government and the people it hires to regulate private firms are different groups of people who have have different incentives from one another. The government will want the regulators to make sure the private companies protect the public interest, but the regulators may find it more profitable to join forces with the private companies they are supposed to be watching over. That is known as regulatory capture and many of his papers are different techniques to prevent that from happening. He also repeatedly deals with asymmetrical information problems, where the regulators know less about specific operational details likes costs than the companies they are regulating. This can lead to cheating, lying and bribery, and Tirole found ways to discourage those bad behaviors. For example, in a heavily-regulated monopoly such as a power utility company, the private firm needs permission from the regulator to increase the prices it passes on to consumers. If the company becomes expensive to run, it will honestly inform the regulators that its costs have gone up. On the other hand, if it suddenly becomes cheaper to run the company, the utility will have no reason to inform the regulator about the cost savings. The firm could make higher profits by keeping those savings a secret from the regulator, or bribing the regulator outright. So how does Tirole propose we stop that? There's a few ways, such as minimizing the difference between what the company charges when operating costs are high and what it charges when operating costs are low. This kills the incentive to cheat. Alternatively, the government could reward the regulator when it reveals proof of cheating from the firms. This would make the cost to bribe higher. Many of his papers show “it’s complicated,” rather than presenting easily summarizable, intuitive solutions which make for good blog posts. That is one reason why his ideas do not show up so often in economics blogs and the popular press, but they nonetheless have been extremely influential in the economics profession. He has shown a truly remarkable breadth and depth over the course of the last thirty or so years. It's been all but engraved on a plaque that Tirole would have shared the award with his mentor and frequent collaborator Jean-Jacques Laffont, who died of cancer in 2004 and was thus ineligible as only living persons can be nominated. His recommendations walk a lot of tightropes in saying how much regulation is appropriate and what form it should take. For more examples of what's in Tirole's tool kit for regulating industries, see the Nobel Prize Committee's two summaries. There's a piece written for a general audience and a longer, more technical version. * That's because it is not one of the the original five Nobel Prizes dreamed up by Mr. Nobel and wasn't first awarded until 1969.